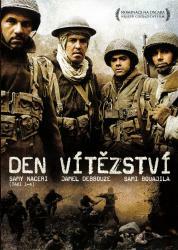 Drama/History/Gainful, France/Morocco//Belgium, 2006, 123 min. Synopsis Algeria, 1943, through Italy and France, to Alsace in early 1945, with a coda years later. Arabs volunteer to fight Nazis to liberate France, their motherland. We follow Saďd, dirt poor, an orderly for a grizzled sergeant, Martinez, a pied noir with some willingness to speak up for his Arab troops; Messaoud, a crack shot, who in Province falls in love with a French woman who loves him back; and Abdelkader, a corporal, a budding intellectual with a keen sense of injustice. The men fight with courage against a backdrop of small and large indignities: French soldiers get better food, time for leave, and promotions. Is the promise of liberty, equality, and fraternity hollow?